noun: An emblematic representation of an eagle with outspread wings. verb tr. : To position someone with arms and legs stretched out. verb intr. : 1. To assume the form of a spread eagle. 2. To be boastful or bombastic in a display of nationalistic pride. adjective: 1. Lying with arms and legs stretched out. 2. Boastful or bombastic in a display of nationalistic pride. 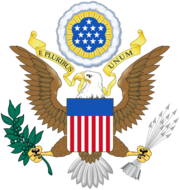 The eagle, in various positions, has been a popular bird in heraldry. 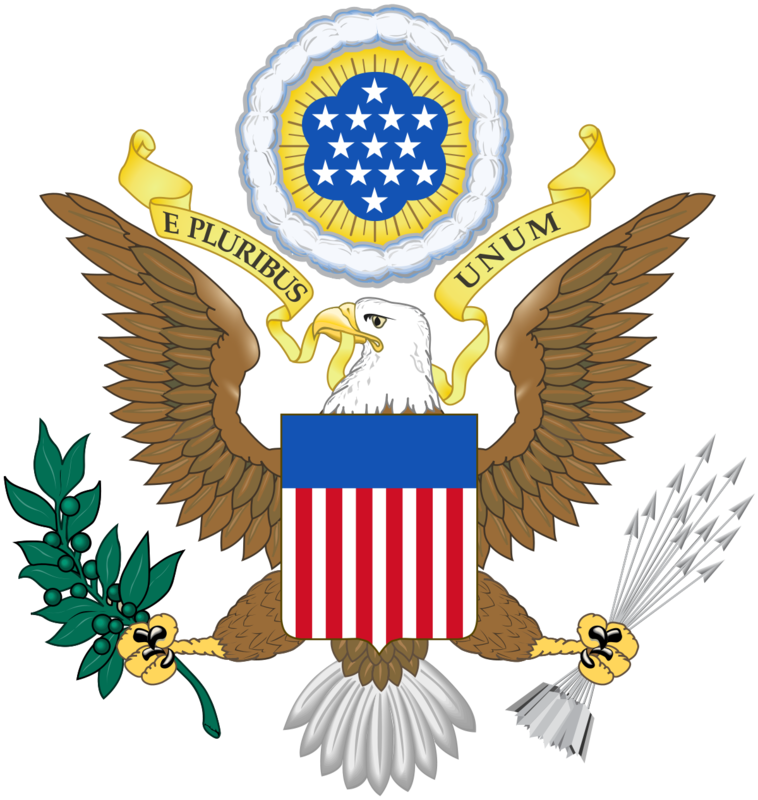 A spread eagle is on the coats of arms of Germany, Poland, Romania, and the United States. Earliest documented use: 1550. Also see frogmarch. Lydialyle Gibson; Policing the Police; ABA Journal (Chicago, Illinois); Sep 2016. William Culp Darrah; Powell of the Colorado; Princeton University Press; 1951. See more usage examples of spread-eagle in Vocabulary.com’s dictionary.